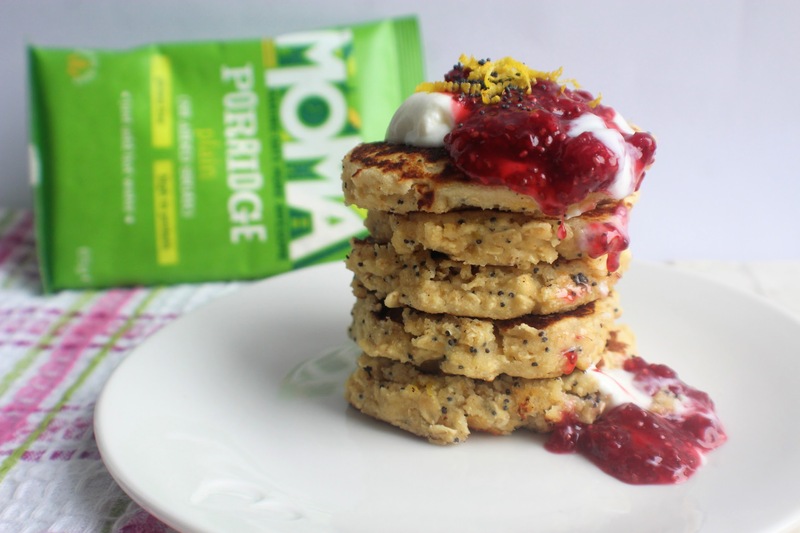 When I was challenged by Moma Foods to create a pancake recipe using their plain porridge oats – well, of course I accepted! I’ll be honest and say that pancakes haven’t always turned out the best for me, much to my despair, especially when Instagram is saturated with perfect stacks of golden, fluffy pancakes. 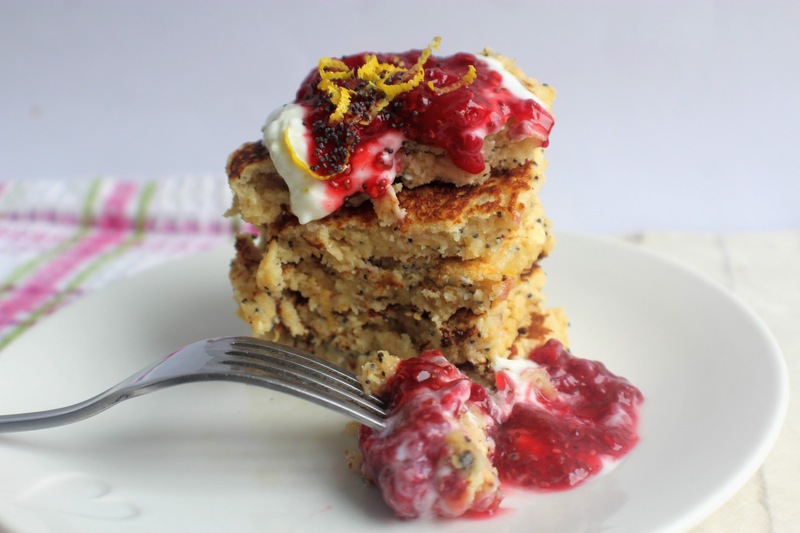 However I’m happy to say that these turned out wonderfully – a combination of lemon and poppy seed piled with a delicious homemade berry jam and yogurt. 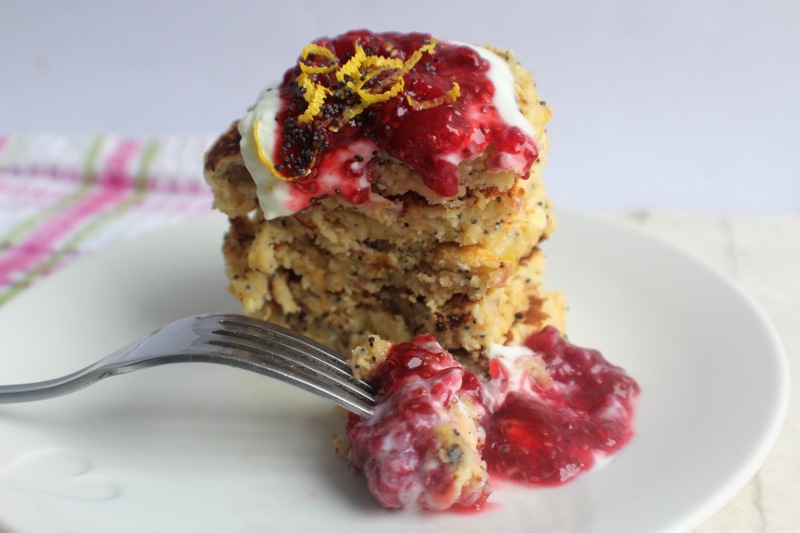 Refreshing, full of flavour, easy to make and with no refined sugars. Let’s get flipping! First make the raspberry jam: Place the raspberries in a small pan with a dash of water and maple syrup. Simmer for 5 minutes to soften and allow the raspberries to break down, then remove from the heat and stir in the chia seeds. Set aside to allow the jam to form for at least 30 minutes. Transfer to a pot and keep in the fridge for up to 1 week. Now onto the pancakes: Empty the contents of the sachet into a blender along with the coconut flour, baking powder, maple syrup, lemon juice, egg and milk of choice. 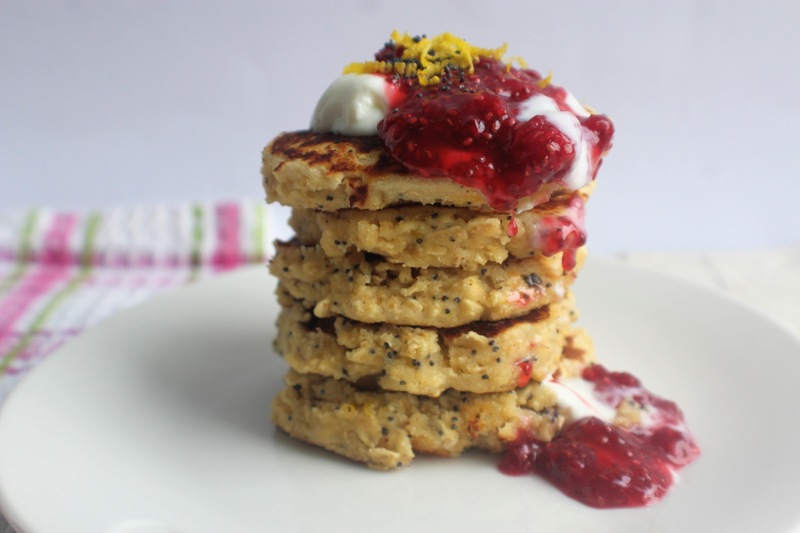 Give it a good blend until smooth, then remove and stir in the lemon zest and poppy seeds. Heat some coconut oil in a non-stick frying pan on a high heat. Once hot, add spoonfuls of the batter (2-3 at a time) and cook on a medium-high heat for 2 minutes before flipping over. Transfer to a plate and keep warm while you repeat with the rest of the mixture. 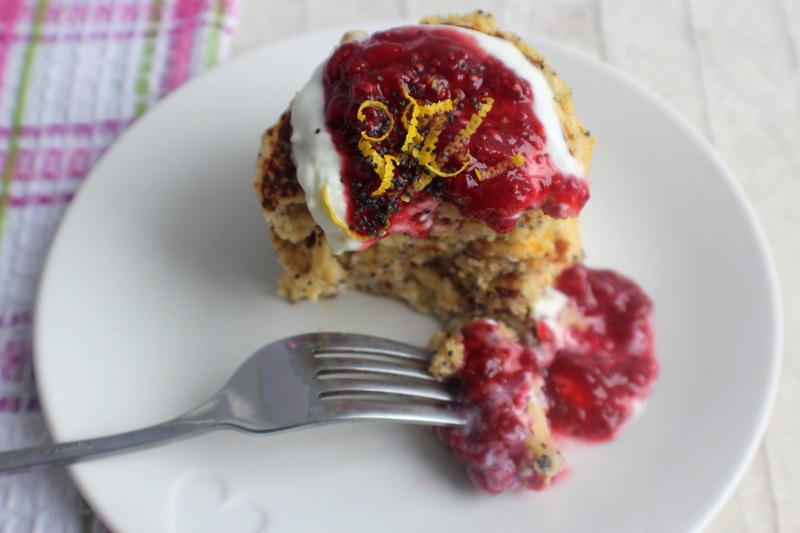 Now top with some yogurt and the berry jam – and dig in!